Crouch, Touch, Pause and Engage, as the combined teams from Colombo Origins and Outstation Origins will play an evening of scintillating rugby in aid of the Chandrishan Perera Medical Fund on Tuesday, 9 April, 6:30 pm onwards at the Havelock Sports ground. The event will also act as a selection for the national team competing at the Asian Championship. 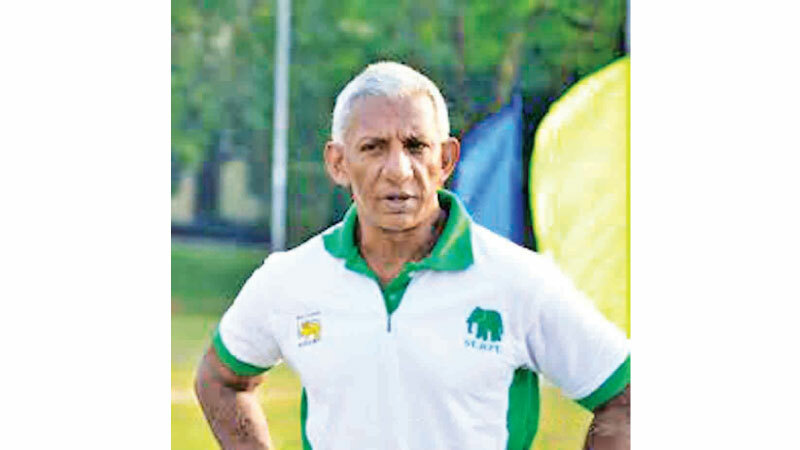 Chandrishan Perera, a household name amongst Sri Lanka rugby fans was a former Sri Lanka captain, coach and commentator and has since been diagnosed with Parkinson’s disease and brain bleed, and is at present, undergoing medical treatment. Perera, who was well known for maintaining a prime physical condition even many years after hanging up his boots, was diagnosed with Parkinson’s in 2018. A lawyer by profession, Chandrishan has the distinction of being a victorious team member of the 1984 Hong Kong 7’s, which is the highest ranked victory Sri Lanka Rugby has achieved at an international tournament. He has also played first class cricket in England and was a regular in the University of Essex, First XI as an undergraduate. Sri Lanka’s premier connectivity provider and the official sponsor of Sri Lanka Rugby, Dialog Axiata, has partnered with Sri Lanka Rugby to organise the game for the benefit of the Chandrishan Perera Medical Fund.